The Microlife BodyGem and MedGem indirect calorimetry devices measure your clients Resting Metabolic Rate, to optimize their weight loss results. 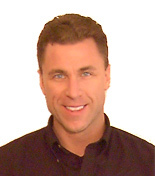 Instead of estimating RMR with the Harris-Benedict or Katch-McArdle formula, the BodyGem and MedGem scientifically measure a clients Metabolic Fingerprint, that is unique to them. Estimation formulas cannot factor in thyroid issues, the effects of medications, etc. For the best care, the American Dietetics Association recommends using indirect calorimetry to measure RMR for the most accurate assessment of nutritional needs. 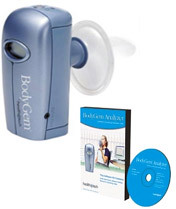 The BodyGem and MedGem have the same functionality, accuracy and reliability. The difference is that the MedGem has gone through the FDA-approval process, to allow licensed clinicians to make insurance claims on their measurements. The BodyGem is designed for Personal Trainers, fitness facilities and Dietitians who don’t make insurance claims for their services. Set yourself above your competition, by offering a higher level of care to your clients with a scientifically determined resting metabolic rate (RMR) measurement. To perform a measurement, your client simply breathes into the device, which measures their oxygen consumption (VO2) to determine their unique metabolic rate. The BodyGem System is a lower priced option, because it has no associated FDA-approval costs. Measurement providers typically charge between $50-70 for a RMR measurement, so you can generate profits quickly. Air Force Fitness Centers, Carmichael Training Systems, Cooper Fitness Center at Cooper Aerobics, Fitness Together, Golds Gym, Ritz Carlton Naples and YMCA’s. 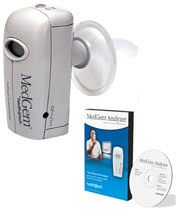 The BodyGem and MedGem are the same type of indirect calorimeter, except that the MedGem has gone through the FDA-approval process as a medical device. Since it is an FDA-approved indirect calorimetry device, it can only be sold to licensed clinicians. The MedGem is designed for Bariatric Doctors, Dietitians and other healthcare professionals who need an FDA-approved medical device. The MedGem displays both the RMR and Resting VO2 for patient diagnosis. Insurance reimbursement rates range from $60 – $80 in total reimbursement. AMA CPT Information Services advises using CPT Code 94690 (oxygen uptake) as the primary code for the RMR measurement. Arkansas Children’s Hospital, Bariatric Medicine Institute, Bryan Health, Gritman Medical Center, MD Anderson Cancer Center, Oklahoma University Health Science Center, Rex Healthcare and Weight Management Medical Associates. Why are the BodyGem and MedGem indirect calorimeters the best choice? They have been validated against the gold standard Douglas Bag, and against the Sensormedics and Delta Trac hospital metabolic measurement carts. Our indirect calorimetry devices are portable, self-calibrating, easy to administer, and provide a RMR reading on the LCD panel in 10 minutes or less. They use bite-wing style mouthpiece filters to make measurements more comfortable for your client and to prevent air leaks. You can print the Client Measurement Summary Report on regular paper, and you can email it to your client in PDF format. They have a 2-year warranty, instead of the standard 1-year warranty. They are lower priced than other indirect calorimetry devices, and we have lease-type per-use systems to fit almost any budget. We don’t post prices online, as it’s best to talk with us regarding our different system kits, to determine which one fits your unique needs. Call me directly at 720-431-1461 or send me an email to get your questions answered. Who uses the BodyGem and MedGem indirect calorimeters?